Sorry, this boat is currently not available. All boats start full of gas. Upon return the tank is refilled and you are charged for the gas and oil used. 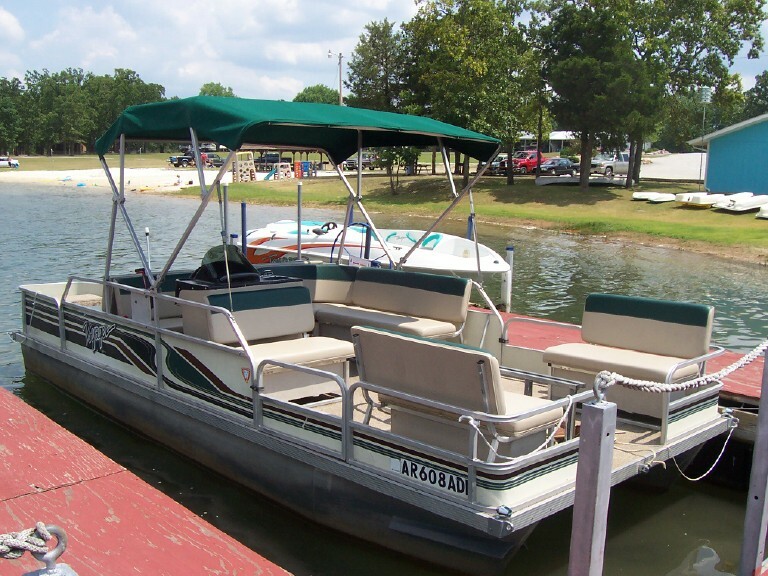 All boats and rental equipment must be returned by 6:00 pm. Daily rental is anytime after 8:30 a.m. until 6:00 pm. Late returns will be charged $1 per minute. Must be 21 years of age or older to rent. Anyone born on or after January 1, 1986, and of legal age to operate a motorboat, must have successfully completed an approved Boating Education Course and carry proof while operating a motorboat on Arkansas water. We reserve the right to refuse rental to anyone. Prices subject to change without notice. Refunds are not given due to inclement weather, however we will reschedule. Early boat rental returns will not result in a refund.